If you don’t know yet, we are celebrating our 4th 🎉 Anniversary! 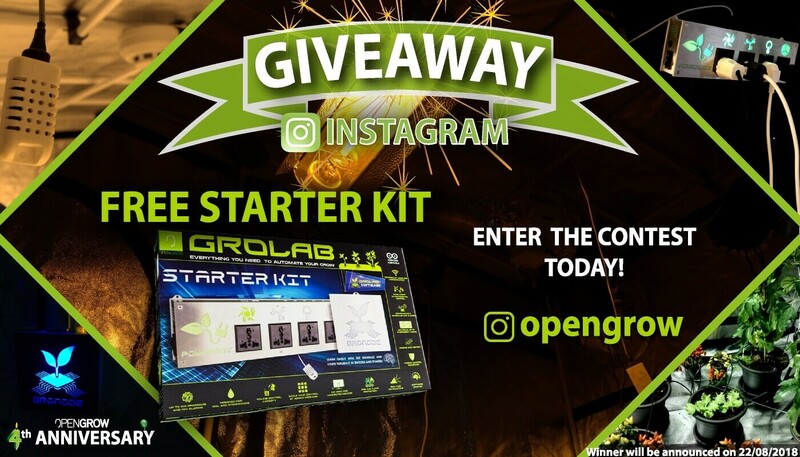 The 10 first entries will receive a 30% discount coupon on any GroLab™ Kit or GroLab™ Module that can be used on our online store! 3 – Follow our Instagram profile. We will assign a number to each valid entry, then we will pick the 🏆winner using the random.org website services. The 🏆winner will be announced on 🗓️August 22, 2018. During that day we will post a photo on our Instagram profile as well as the video showing the draw. – Only persons over 18 can participate. – Only personal Instagram’s profiles can participate. – If your Instagram’s profile is not public, you should send us a DM. – Contest is open until August 21, 2018. – Free shipping to EU countries only. – Winner will be contacted through an Instagram’s DM. Check the Terms & Conditions for this contest on the following link.